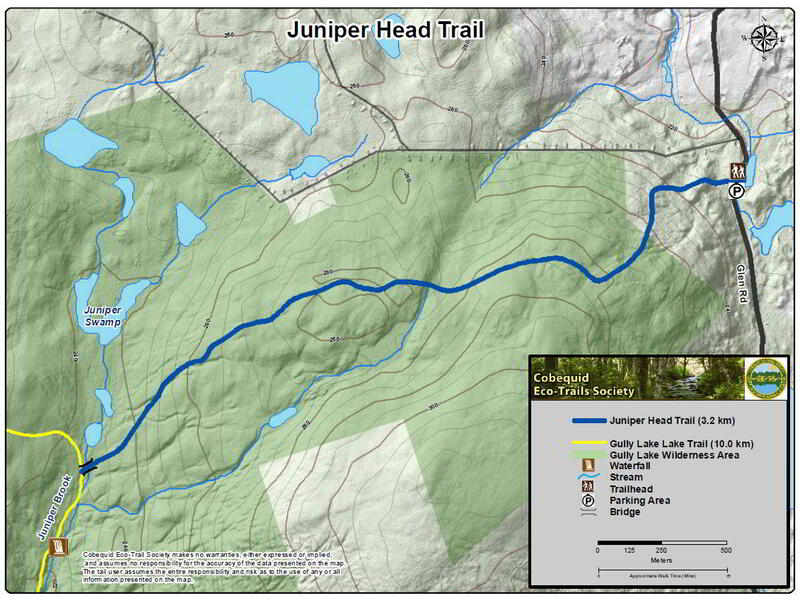 Juniper Head Trail is a linear 3.3 km trail starting on the Glen Road off Route 4 in Dalhousie Mountain, Pictou County. It is set in an immature spruce wood and an old sugar maple and yellow birch wood and has many old forest lichens. 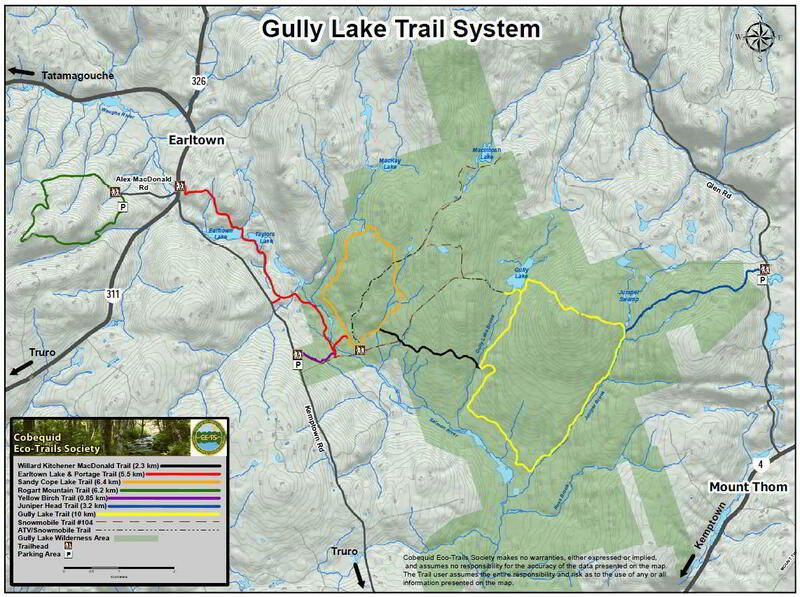 It passes old skidder roads, brooks, and ends at Juniper Brook and the Gully Lake Trail.